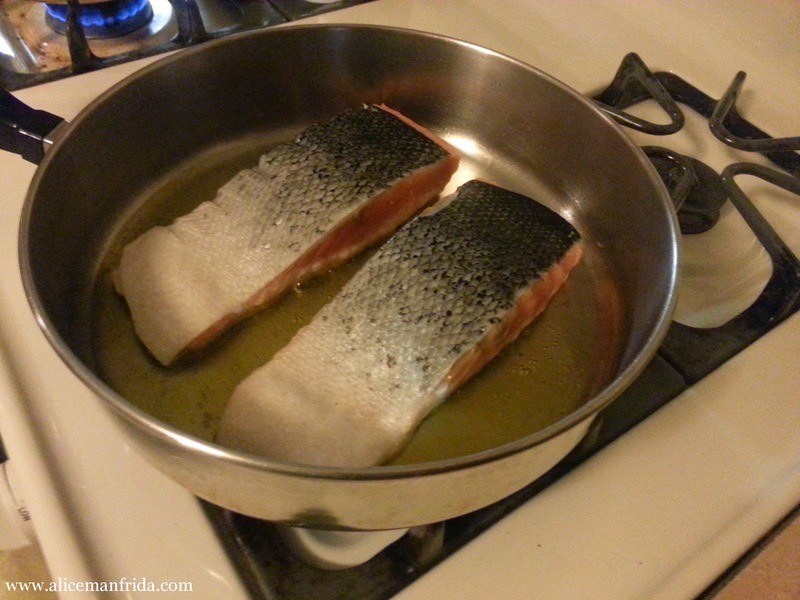 For some reason a lot of people don't seem to know how to cook fish. I think it's the easiest 'meat' to cook. 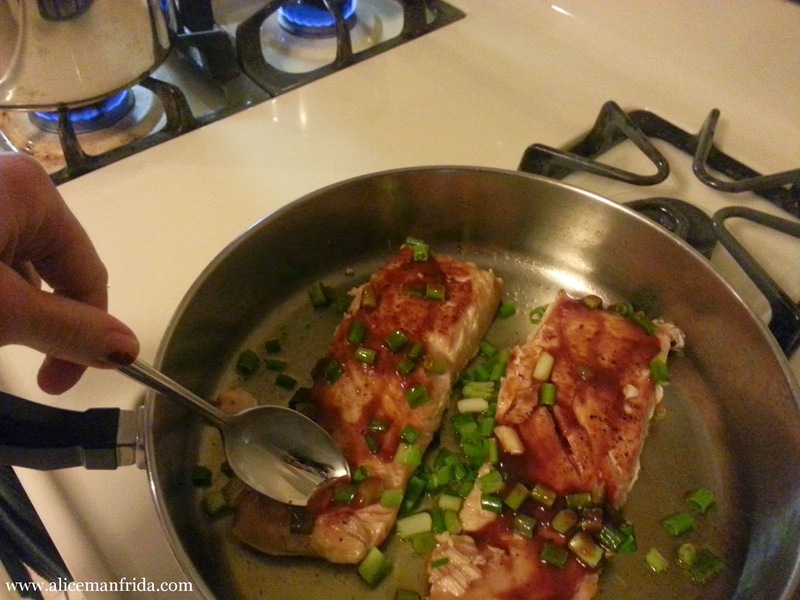 Pretty much every kind of fish cooks really quickly and can be made with just about about any flavor combination and will almost always end up tasting delicious. 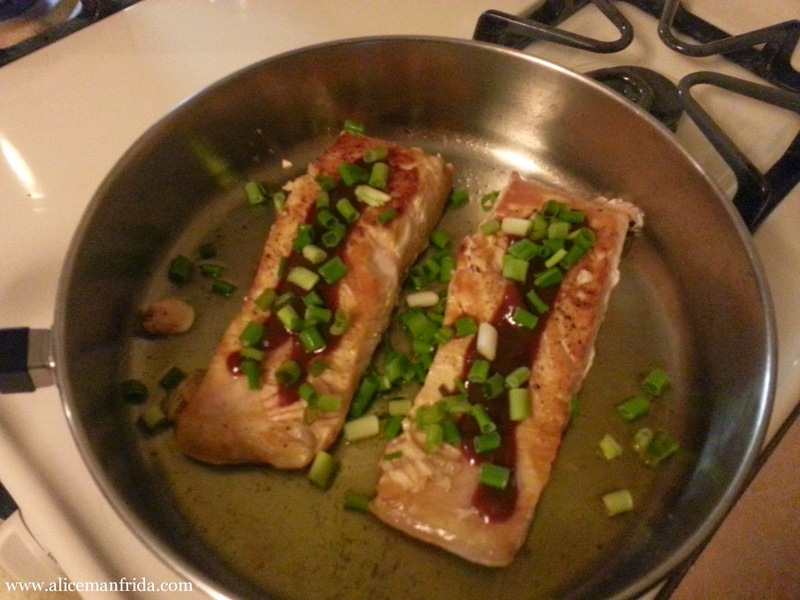 Salmon was one of the first meals that I ever cooked. One of my college roommates and I came home to my mom's house for the night and told her that we planned to cook ourselves a whole dinner. We decided on salmon, rice and broccoli. My mom got us all of the things and then told us that rice takes 45 minutes and salmon takes 7 minutes per side. She said we'd know we were successful when we were eating all of the food at the same time. Then she ditched us because as it turned out, mom's have lives, too. Hehehe ;) We were actually successful and got everything to finish cooking at about the same time and were pretty proud of ourselves. 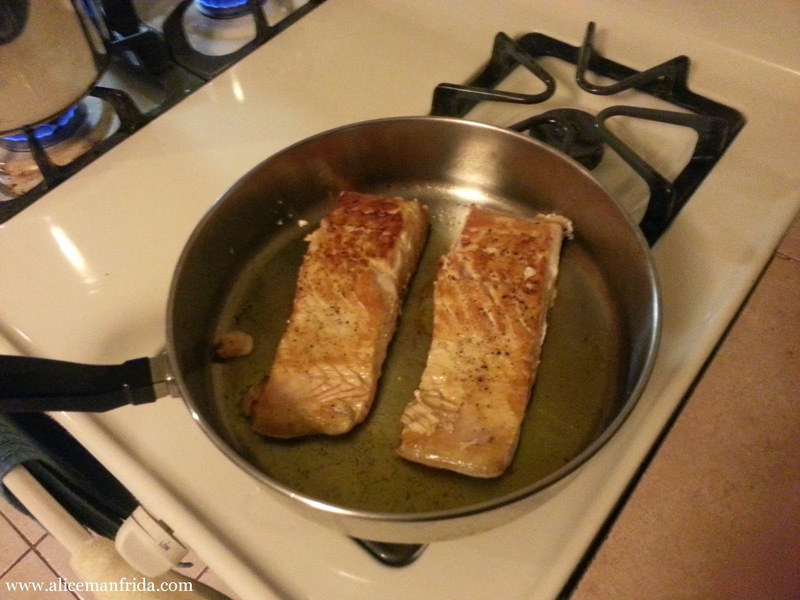 Basically I still use the 7 minutes per side rule for salmon but it does kind of depend on how thick the piece that you're cooking is. It's also not a bad idea to let it sit a little longer on the cut side because once you flip it to skin side down, you can't flip it back. BUT don't over cook it because dried out salmon is gross. 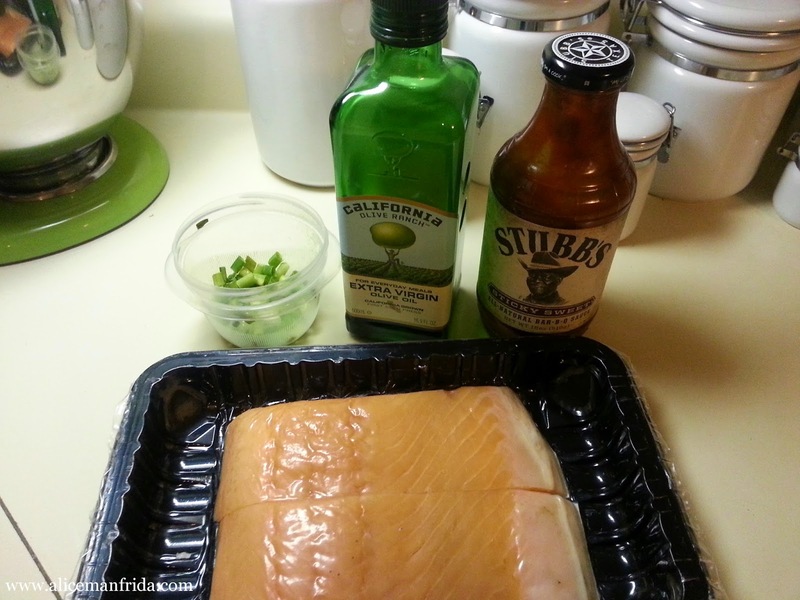 Salmon is my favorite fish but when I cook any fish I don't plan out what I'm going to put on it until I'm actually making it. It really is different every time. Last night I put barbecue sauce and scallions on it and also made rice and peas. By the way, everything was finished cooking at the same time. Your dish looks awesome. 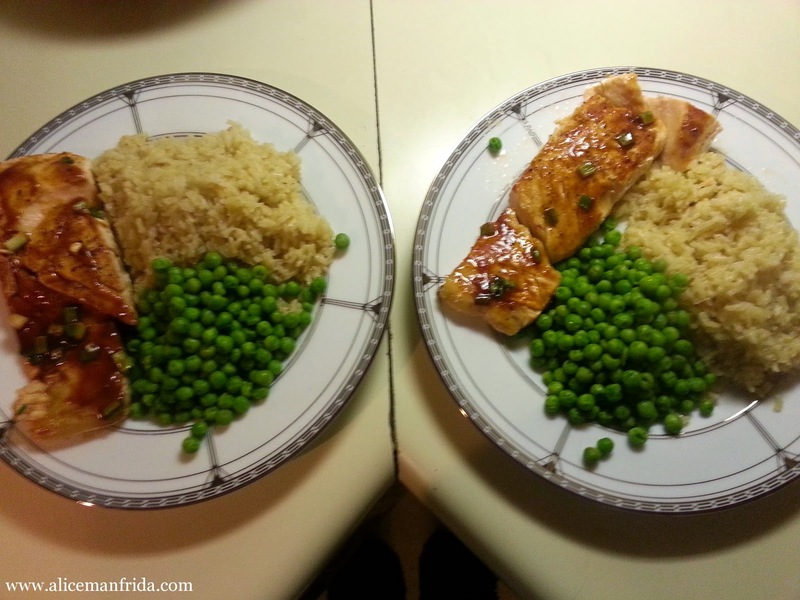 I love salmon and could eat it for breakfast, lunch and tea. I love it smoked and find that it goes well with a crisp white wine from New Zealand esp from the Marlborough region.